YOUR CAREER PODCAST is in the lineup for the Australian Podcast Awards! If you enjoy this podcast, please SUPPORT US to reach everyone who needs career support by voting for YOUR CAREER Podcast in the Public Vote Category BEFORE 14th February 2019! I’m delighted to introduce Victoria Rose, a very special lady who is an inspiration to all, especially to those over the age of 50 (or 60!) as she proves that a new career is always possible and you can be Sixty and Still SENSATIONAL! Victoria supports women in business to create a powerful on-line presence that grows and accelerates their Global Footprint. And she does this by staying on top of cutting-edge technology, being open and curious about the world around her and embracing opportunities with much enthusiasm! Victoria Rose’s mission is to shine the light on how women can liberate the power they possess, and she believes the most effective and fun way to do that is with LiveStreaming. As a LiveStream Early Adopter, Victoria has 4 years combined experience on Periscope, YouTube and Facebook live video. Which clearly entitles her to the rank of Queen of LiveStream. 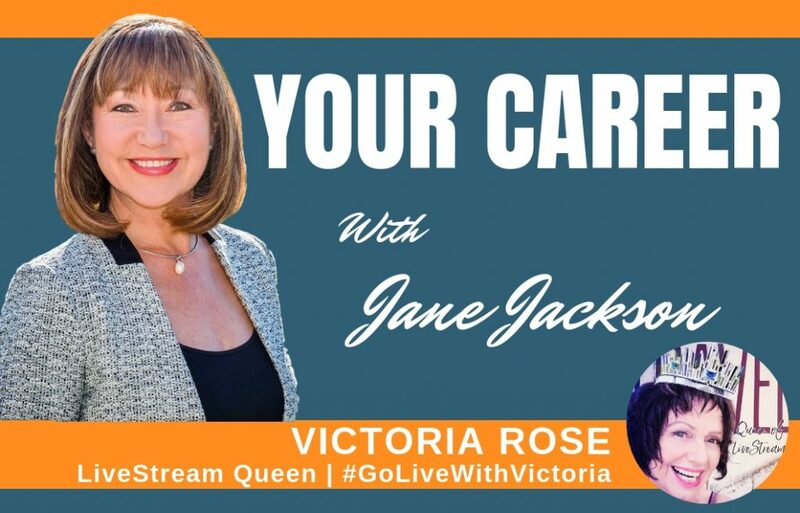 I interviewed Victoria 2 years ago in Episode 56 of Your CAREER podcast, and you can listen to her fascinating career journey from her early years through all her amazing career transitions here. Just as a quick overview, 32 years ago, as a soldier in the Australian Army Reserve Victoria trained over 7000 officers and soldiers in weapons, drill and theory and was promoted to the rank of Warrant Officer. After the Army Reserve, Victoria also worked as a real estate agent for almost a decade. Then, at the age of 58, she started her own corporate training business. For the last three years, baby boomer women have attended her live workshops in Melbourne on how to be resilient and how to live their best life. Let’s find out more about what this fascinating lady is up to now – click on any of the links above and listen on iTunes, Spotify, Stitcher Radio or directly on this page! Get Started with LiveStreaming with Victoria today!